I wanted to do something different. Untill now I’ve been drawing concepts and learning how to model in blender. But I wanted to try my hand at animation, interactive animation. I found GODOT. It’s a very accessible entry-program to game development. Link to GODOT download site. 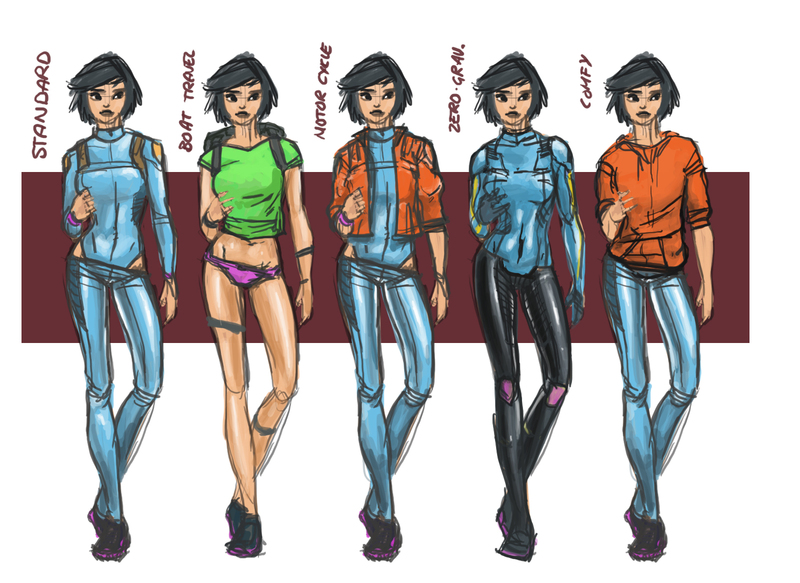 Because I tried to animate Seighti I couldn’t just pick a walk cycle from the web. I started with a Muybridge like drawing in which all the different poses can be seen on the same ‘cell’. So as said: more updates in 2016. Above is a new version of Cat. A friend of S8i. A girl who hangs around a lot with this guy. Same girl by the way. 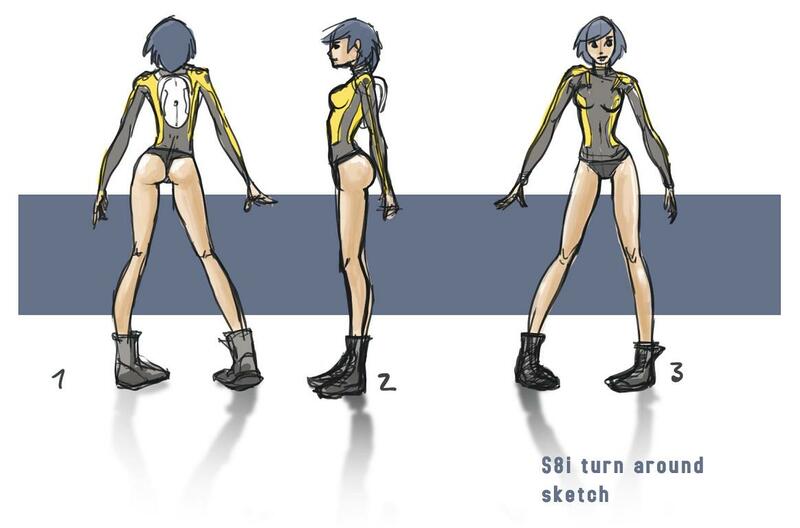 A couple of weeks ago I looked at Thomas Romain’s work in Oban Star Racers. And decided to add the braces as an homage, just like Molly. As I am doing currently with S8i; I should also make some sort of modelsheet for this character. I don’t really have a lot of background information on Cat yet. And I think that’s a good thing. The less I know, the more she can remain a bit of a mistery. I don’t know where she comes from, who her parents are or what her goal is. I only know she’s been in ‘jail’.